If you love to drive around the track, you are amongst a big number of people who have the same question in mind – how to reduce lap times? There are a lot of ways to do this, from getting extra horse power, buying better race tires, driving more aggressively or lowering the center of gravity of your car. Every one of these things can reduce your lap times, but when you upgrade the suspension you get a lot more than you hoped for. The suspension is an underestimated part of a car, which most young drivers tend to forget when customizing their cars. If you want to upgrade your cars performance, every part is very important for the overall balance and best performance. When you tune your engine and get additional power to the wheels, there is a great possibility that your car will get unstable in the corners. To prevent that, it is very important to upgrade your suspension system so it can get all that power to the wheels, while keeping your car from sliding all over the track. Is there a better way to prove the quality of a racing suspension system then testing it on a racetrack? Bilstein tests all of their suspension systems on the world famous Nurburgring, proving that their products have the racing pedigree every car enthusiast is looking for. Decades of research, development and experience in the field of car suspension systems make Bilstein the first choice of car enthusiasts and professional racing teams from all over the world. Bilsteins B16 suspension kit offers performance that was available only for professional race cars. This suspension kit offers the possibility of manually adjusting the height and comfort of your car just by turning a dial. Using this suspension kit, you can use one car for weekend racing and a daily driver. By lowering your car and stiffening the suspension you get a lower center of gravity and more traction for better cornering and better lap times. Bilstein is one of few companies that can be proud of their history and tradition. 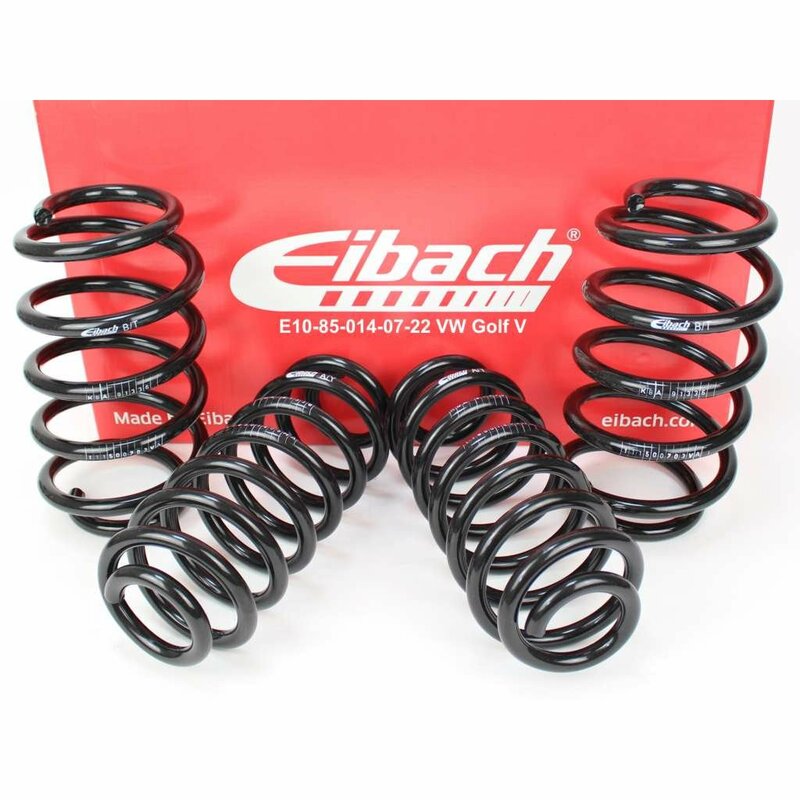 The company itself exists more than 140 years but it has introduced the first shock absorber in 1957, which is a turning point in automotive suspension systems. Since then, Bilstein has been providing top quality shock absorbers due to their constant research and development, providing car enthusiasts and professional racing teams with better and better performing parts. The list of performance car manufacturers which includes Porsche, Lamborghini and Bugatti that use Bilstein suspension systems as stock says enough about the quality that they provide. By now, you will probably be convinced your next shocks purchase will be a Bilstein. But where to buy, without breaking the bank? Have a look at: Extreme-carstyling.co.uk/bilstein/. That includes free delivery. Plus their service really makes them stand apart from all other shops. Every car enthusiast takes special care when it comes to their car, especially if it’s a daily driver. Every little imperfection is like a poke in the eye, and as time goes by, no matter how much you take care of your car, there will be things you could do to make the car feel like new. Some of the things from this list are cheap, some are not as much, but everything will make your car look and feel newer than it actually is. Floor mats are one of the first things you notice when you get in your car. When you have worn out floor mats they let the water and dirt from your shoes to get to the carpet. This wouldn’t be such a problem if you don’t have a carpet in your car, but most of us have it and it can make horrible smells from the moisture inside, especially if you live in a place where it rains a lot. Replace your old floor mats with new ones to get a fresh new look to your car, while keeping the carpet underneath clean and dry. Wiper blades are known for not lasting as long as you would like. There is nothing more irritating than the sound of a bad wiper blade rattling over your windshield while leaving trails of rain on it. It’s not only irritating, it is also dangerous. When you drive on the motorway while it’s raining, it’s very important to have 100% visibility. New wiper blades are not as visible as new floor mats but they make a difference. Keeping your car as clean as possible is the number one thing you and it should be on the top of the list. Unwanted stuff all around the car will make you feel like you’re riding in a dumpster truck instead of your own car. Make it a habit to clean out your car of everything you don’t need every time you step outside. Also, vacuum the carpets, upholstery, wipe the dashboard, clean the vents. If there’s accumulated dirt and plain vacuuming doesn’t help, take your car for a deep clean. When you clean your car all around, it will look better and make you feel like its brand new. There is nothing worse than to hear rattling coming from the engine bay or your wheels. It’s not only annoying, it can be dangerous as well. Taking your car to the mechanic for a complete checkup once in a while will give you assurance that your car is ready for the road and in the best condition it can be. Regular services keep your car running but checking the suspension, tires and other parts of the car can save you money and make your car feel like new.